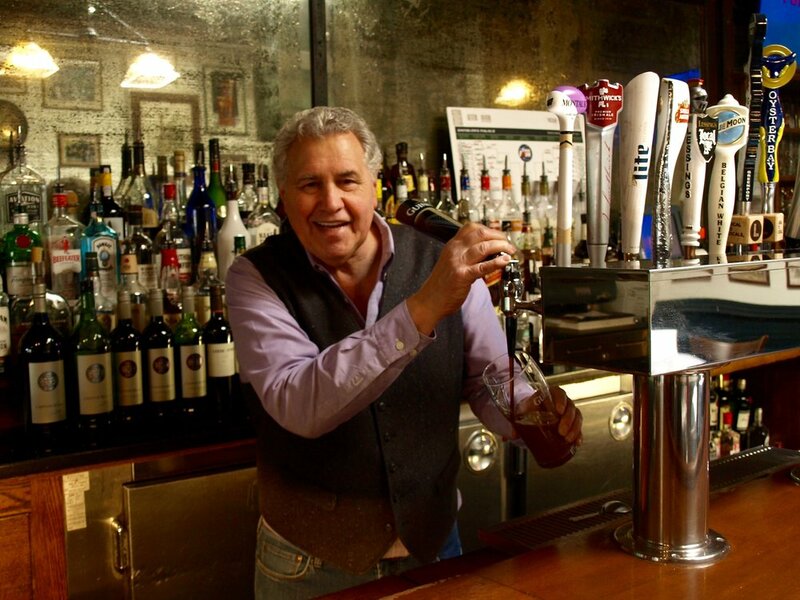 Always ready with a beer and a smile from behind the bar, manager Tommy Forte is the face of Finnegan’s. Carne asada tacos with marinated steak, jack cheese, salsa fresca and cilantro . 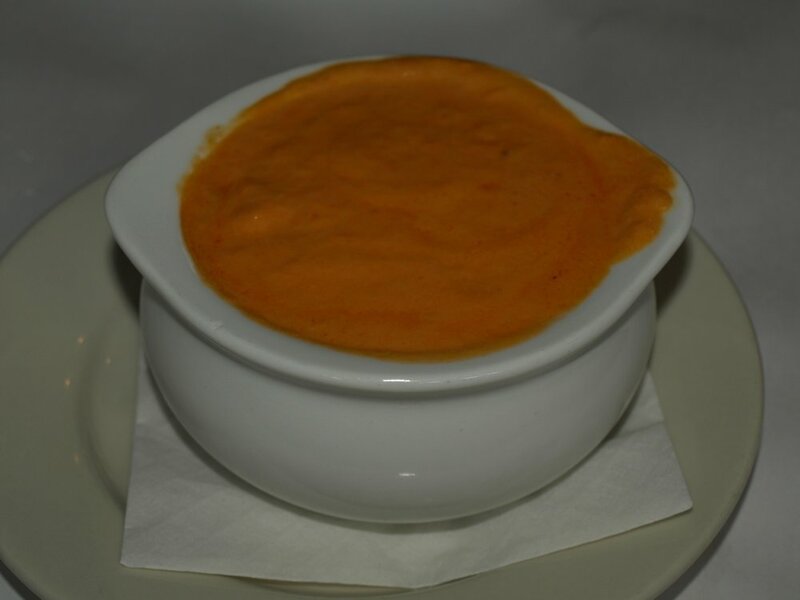 If you’re lucky enough to catch it on the specials menu, rich and creamy lobster bisque. 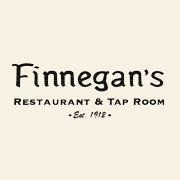 With a rich history that dates to 1912, Finnegan’s of Huntington village has grown and evolved with the local community. Originally opened by Andrew Finnegan, the Irish pub at one time spanned nearly a third of the block with cigars sold from the front and and the back housing a speakeasy. Bar goers needed a password to enter and would drink from teacups. The bar remained a mainstay even after the end of prohibition, and through the 20th century, an assortment of owners has each left their mark. The Lessing’s Hospitality Group own and operate other local restaurants, including Hatch in Huntington and Sandbar in Cold Spring Harbor. Forte’s 53 years bartending experience includes 31 at Finnegan’s. Forte prides himself on welcoming and talking to customers new and old. The flavors of Finnegan’s are a mix of Irish comfort with a mix of other cultural cuisines for a unique flair. 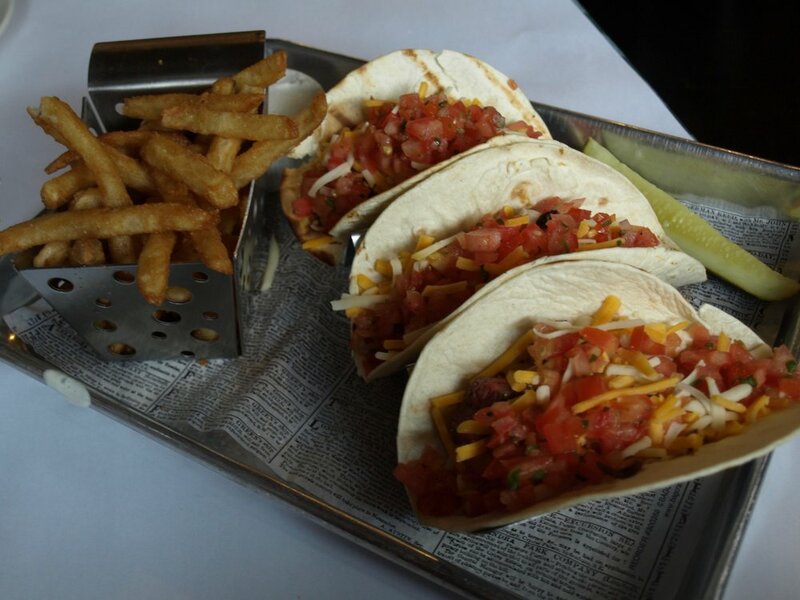 A dish that borrows inspiration but still has the Finnegan’s touch, the carne asada tacos ($13) start with juicy marinated steak complemented by jack cheese, salsa fresca and cilantro. It makes for a messy but satisfying bite. The crispy french fries accompanying can not be overlooked, with a surprisingly sublime outer shell. From shepherd’s pie to a burrito bowl, the focus of any Finnegan’s dish is freshness, Forte said. Ingredient deliveries are made daily to the pub. This allows them to feature day-to-day specials, like a lobster bisque soup. The thick consistency was perfection with plenty of lobster flavor shining through. 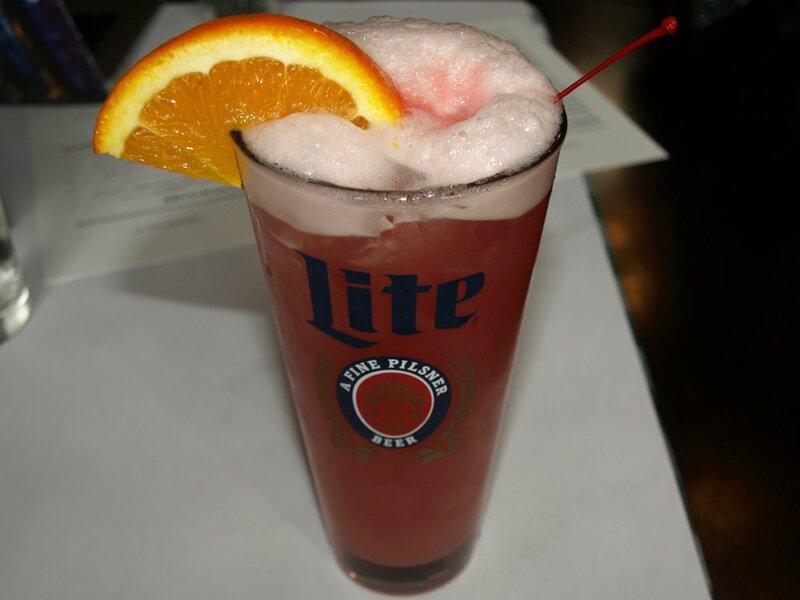 A popular appetizer, the L.I. stuffed clams ($11) puts a savory twist on the seafood classic with bits of bacon added to the soft stuffing of clams and bread crumbs. Although, the top layer appeared burned, once it was mixed around in the shell, it added to the flavor. Looking forward to warmer months, Finnegan’s will be updating their menu to match the summer environment with lighter plates. Customer favorites like burgers and reubens will remain, but Finnegan’s plans to boost the amount of Irish cuisine on the menu. A burger that should stick around is the smokehouse burger ($16), a tempting meat masterpiece. 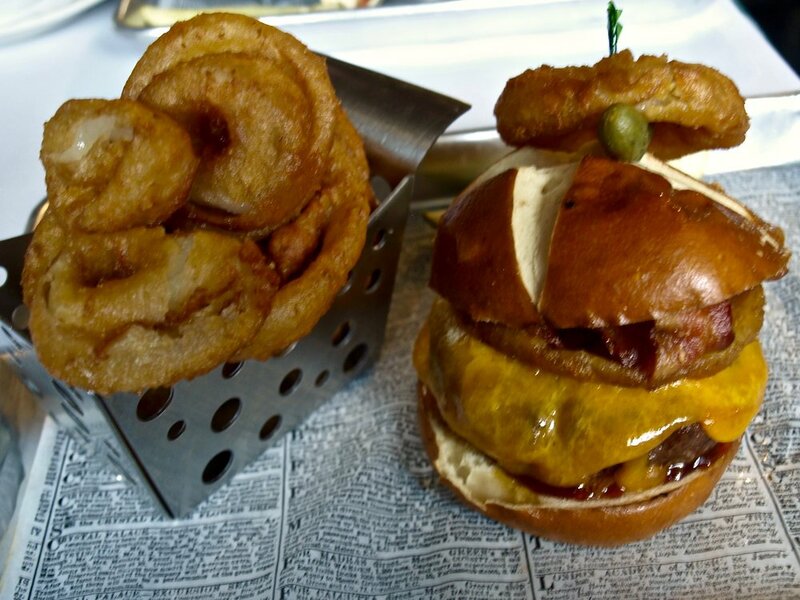 The thick burger packs a flavorful punch, with the help of smoked cheddar, bacon, onion rings, and bbq sauce. Topped on a pretzel bun, it will make any meat-lover smile. Forte finds his passion for bartending stems from his love of camaraderie and community. Forte has crafted his own signature cocktail, the Big Cat ($12) named after his own nickname from high school. It’s known to “sneak up on you,” he said. The tropical refreshment blends cranberry, pineapple and orange juice with an assortment of liquors, for a light, fruity flavor. On the weekends, Finnegan’s becomes a lively joint, especially when they host live music on the patio in the summer. Hours: Sunday-Thursday, noon - 11 p.m., Friday-Saturday, noon - 3 a.m.